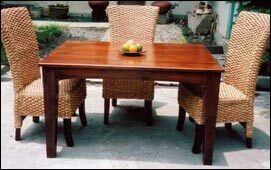 Agung Rejeki Furniture - Manufacturer of woven, cane, rattan, banana leaf, seagrass, wicker, waterhyacinth and plantation furniture, Indonesia. We are expert in delivering woven furniture indonesia, cane furniture indonesia, rattan furniture indonesia, banana furniture indonesia, banana leaf furniture indonesia, bananaleaf furniture indonesia, seagrass furniture indonesia, wicker furniture indonesia, waterhyacinth furniture indonesia, water hyacinth indonesia, and plantation furniture indonesia. So if you need any of woven furniture indonesia, cane furniture indonesia, rattan furniture indonesia, banana furniture indonesia, banana leaf furniture indonesia, bananaleaf furniture indonesia, seagrass furniture indonesia, wicker furniture indonesia, waterhyacinth furniture indonesia, water hyacinth indonesia, and plantation furniture indonesia, you can contact us and we will not dissapoint you. We have plenty of woven furniture indonesia, cane furniture indonesia, rattan furniture indonesia, banana furniture indonesia, banana leaf furniture indonesia, bananaleaf furniture indonesia, seagrass furniture indonesia, wicker furniture indonesia, waterhyacinth furniture indonesia, water hyacinth indonesia, and plantation furniture indonesia, designs and ready stock. 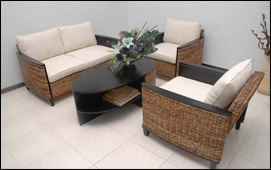 We usually deliver woven furniture indonesia, cane furniture indonesia, rattan furniture indonesia, banana furniture indonesia, banana leaf furniture indonesia, bananaleaf furniture indonesia, seagrass furniture indonesia, wicker furniture indonesia, waterhyacinth furniture indonesia, water hyacinth indonesia, and plantation furniture indonesia, in large quantity. Whether you need woven furniture indonesia, cane furniture indonesia, rattan furniture indonesia, banana furniture indonesia, banana leaf furniture indonesia, bananaleaf furniture indonesia, seagrass furniture indonesia, wicker furniture indonesia, waterhyacinth furniture indonesia, water hyacinth indonesia, and plantation furniture indonesia, in 20 square feet container, or 40 feet container, just contact us. We will do our best to deliver woven furniture indonesia, cane furniture indonesia, rattan furniture indonesia, banana furniture indonesia, banana leaf furniture indonesia, bananaleaf furniture indonesia, seagrass furniture indonesia, wicker furniture indonesia, waterhyacinth furniture indonesia, water hyacinth indonesia, and plantation furniture indonesia, to you. Best regards, Agung Rejeki Furniture, manufacturer of woven furniture indonesia, cane furniture indonesia, rattan furniture indonesia, banana furniture indonesia, banana leaf furniture indonesia, bananaleaf furniture indonesia, seagrass furniture indonesia, wicker furniture indonesia, waterhyacinth furniture indonesia, water hyacinth indonesia, and plantation furniture indonesia.